See up to date results from the season. Join our mailing list to receive information and news during the racing season. Race results compiled from the current season and archives for past years. 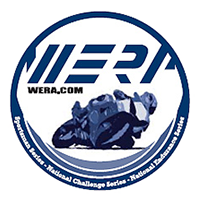 Photos and information for the current SRA-West sidecar racing teams. Register for annual membership in the Sidecar Racers Association West, Inc.
Another high profile name seeking thrills on three wheels; this time TT star Michael Dunlop. It is not Michael’s first time on a sidecar, nor his first time with passenger Dan Sayle. Steve’s Place breaks the story here.